Beautiful Historic Whitewood in the heart of Powhatan County Located on the Huguenot Trail Corridor. 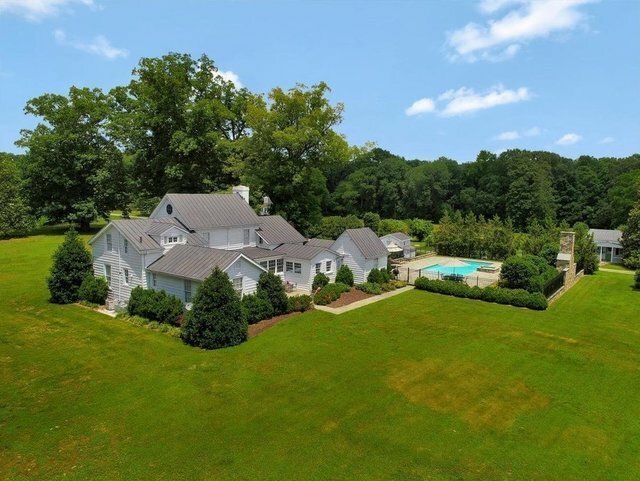 Whitewood is situated on a picturesque 116 acres and features mature hardwoods, rolling pastures, and stocked pond. The construction of this beautifully maintained 3,306 square foot main residence began in the 1850s when The Civil War interrupted its completion. A letter was sent to the U.S. Secretary of State pleading to spare the destruction of the home: The request was granted, and the residence was completed after the War. The Whitewood Homestead features original wide plank heart pine floors and solid wood doors with antique hardware that can be found throughout this 4 bedroom, 4 bathroom stately home. The original kitchen house and well house have been incorporated into the structure of the home and are now part of everyday living. The old school house remains on the property where Robert E Lee's niece and nephew did their schoolwork. Property additions include 1880 sq ft 3Bd 2ba Second Home, Butler's Barn, Equipment Storage, outside game room, and a salt water pool with Bluestone patio and Outdoor fireplace.Come be a part of this majestic piece of history and make it yours!